Share the post "WWCF Radio at Mercersburg Springfest 2018"
Join WWCF Radio at the 2018 Mercersburg Springfest in downtown Mercersburg, PA on Saturday, May 12th, from 9am to 3pm. WWCF 88.7 FM will be one of over 100 craft, food, and community vendors participating in this year’s Springfest. We encourage you bring your unwanted vinyl and CDs to our record swap at our location close to the corner of East Seminary St. and the town square, where we’ll also have t-shirts and stickers available. Station DJs and staff will also be there to chat. Share the post "Schedule Changes & New DJ"
Two alterations have recently been made to WWCF’s programming. 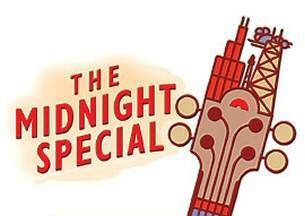 First, The Midnight Special, previously heard at 4pm on Sundays, has moved to 12am early Sunday morning. WWCF also has a new DJ! He’s been with us for a number of weeks now, but we’d like to welcome Steve to our station’s roster. You can hear Steve and his music selections every Tuesdays from 2-6pm and on Fridays after the Friday Night Platter Party from 10pm-1am.